The park is preparing for the 2018 season. Visitors should plan ahead to maximize their trip to Glacier. The park expects that visitation will remain high. Last year 3.3 million people visited the park, a new record and an increase of 12% over 2016. June, July, and August will likely continue to see very crowded conditions. Visitors should plan ahead and identify several day-trip options in case they encounter full areas in various portions of the park, particularly in the North Fork, Many Glacier, Two Medicine, Avalanche, and Logan Pass. Trip planning resources are available on the park’s website. 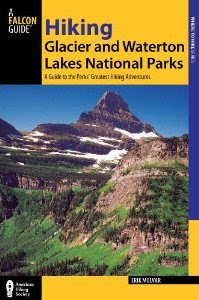 Additionally, abundant local, state, and federal public lands surround Glacier National Park and offer spectacular scenery and often quieter experiences. Following the Sprague Fire and the loss of the Sperry Chalet dormitory building in August of 2017, the park and the Glacier National Park Conservancy launched a stabilization effort to protect the remnant Sperry Chalet dormitory walls from winter wind and snow loads. The park also completed flood mitigation efforts in the Sprague and Snyder Creek drainages to prepare for the possibility of increased flood risk following the fire. 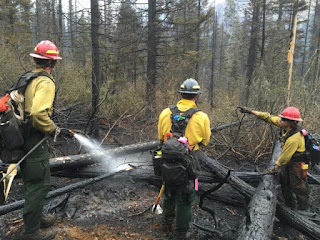 As the snow melts this spring and summer, the park will begin rehabilitation efforts on trails impacted by the Sprague Fire. Those efforts will likely continue for two or more years. Significant work, including clearing many downed trees, will need to be completed next summer before some trails can reopen to the public. Other trails may close intermittently while trail work occurs within the Sprague Fire burn area. Trails impacted by fires include the North Boundary Trail (north of Goat Haunt), Sperry Trail (to Gunsight Pass), Snyder Lake, Mt. 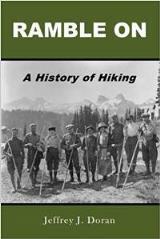 Brown Trail, Fish Lake, Lincoln Lake Trail, and the Waterton Lake shore trail from Goat Haunt to Waterton. Three backcountry campgrounds (Snyder Lake, Sperry, and Lincoln Lake) were significantly impacted by the fire and will likely open much later in the 2018 summer season. Visitors interested in hiking trails within the burn area should consult the park’s trail status page for updates as conditions and closures may change throughout the summer season. The park will complete the decade-long Going-to-the-Sun Road rehabilitation between 2018-2019. On the west side, vehicles will continue to detour through Apgar Village during the early 2018 season, while the road is reconstructed along a portion known as the Apgar Curve. Additional pullout work along the Going-to-the-Sun Road will occur that was delayed due to road closures related to the Sprague Fire. Visitors can expect 30 minute cumulative delays throughout the summer, and many of the turnouts along Lake McDonald and Upper McDonald Creek will be closed while upgrades occur. Additionally, in the spring, park crews will continue boardwalk construction between the existing Trail of the Cedars and the newly constructed footbridge across Avalanche Creek. In St. Mary, modifications to the recently constructed entrance station will occur in the fall of 2018. Routine pavement preservation may also occur in 2018 or 2019, funding and scheduling dependent. Pavement preservation lays layers of a protective coating over the road, extending the life of the pavement substantially. The preservation work includes the entire Going-to-the-Sun Road, Chief Mountain Road, a portion of the Camas Road, Apgar Village Loop, and other minor areas. The work requires dry and moderately warm conditions to cure. The park expects Going-to-the-Sun Road closures related to this work. If funding is secured for 2018, the park will update the public about the scope of the closures, which would likely be scheduled in mid-June and mid-September. In 2019, a contract will be awarded to finalize the multi-year rehabilitation work on the Going-to-the-Sun Road. Final repairs will occur to masonry features, some log rails will be replaced, and some signing improvements will be installed. This last year saw the discovery of invasive zebra or quagga mussels within the State of Montana. The park temporarily closed its waters in accordance with its Aquatic Invasive Species Emergency Action Plan. Waters reopened to hand-propelled watercraft in May of 2017 following an inspection, and Lake McDonald reopened to motorized watercraft following 30 day quarantine in mid-summer. Park waters were surveyed for the presence of the invasive mussels (as they have been annually since 2011) and tests using environmental DNA as well as more standard juvenile mussel sampling all indicate park waters remain free of these species. If you plan to visit the park this year, be sure to check out our Accommodations and Things To Do listings to help with your trip planning.